Joining returning franchise mainstays Mark Hamill, Carrie Fisher, Harrison Ford, Peter Mayhew, Anthony Daniels and Kenny Baker are John Boyega, Daisy Ridley, Adam Driver, Oscar Isaac, Andy Serkis, Domhnall Gleeson and Max von Sydow. 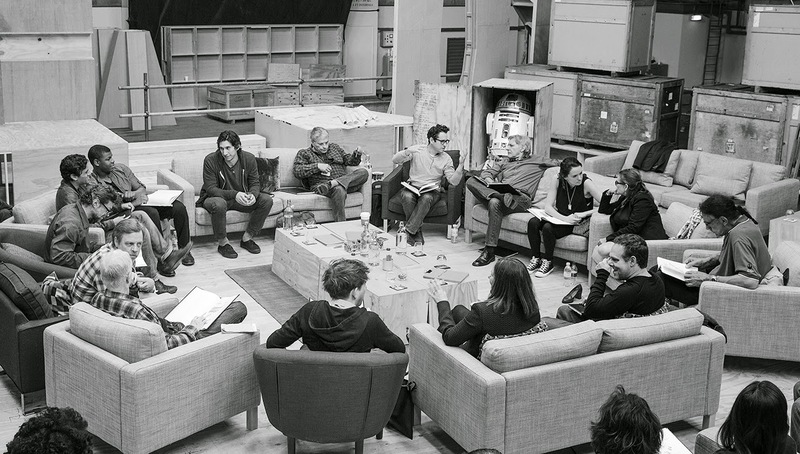 The main cast joined Abrams, writer Lawrence Kasdan, producer Bryan Burk and Lucasfilm president and producer Kathleen Kennedy for a read-through of the script on Tuesday at Pinewood Studios in the U.K. I know Driver has been hinted to be playing a villain in Episode VII, but it's otherwise difficult to predict the type of new characters we can expect in the next film. Will Lord of the Rings alum Serkis be stepping into his Gollum comfort zone as a digital character? Will Ridley play one of the Solo offspring? Such questions will hopefully be answered soon as Episode VII begins filming in the coming weeks. With this big news coming out just days before Star Wars Day, May 4, it's a damn good time to be a geek. To paraphrase Obi-Wan Kenobi, we've taken our first step into a larger world. So Long, 'Star Wars' Expanded Universe!